Hi, there fellow snarkers! 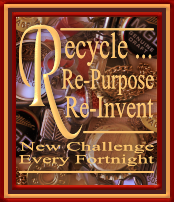 I am Nanette and I am here as guest designer for challenge #25 "Winter" themed. I am so honored to have been crowned Queen Snark for challenge #23 "N is for Naughty"! So get you snark on and create something frosty and cold...snarky or not...but snarky is so much fun!! Now the details of my project are pretty simple to all you pro snarks out there! I had this lovely fairy tale theme paper and this lovely awareness tree was in a bundle with every season and a freebie ( I am looking through my files to find out the company, I printed it out 3 days ago and cannot remember who it is from!!). I used my cricut cartridge "Happy Hauntings" to cut out the frame (reminded me of a snowflake!) and glued over the ribbon portion of the tree after I embossed the snow on the tree with white embossing powder and a heat gun and added some gold glitter to the birds end feathers and the bare limbs of the tree...so it wouldn't look too cold..brrr! I put a piece of gold ribbon down and then a pink piece on top of that with a pink bow. I stamped the words with an alphabet set from Michael's Dollar Bin (can't beat that!) and cut them out and inked the edges with pink ink. The image is colored with Bic Mark Its and fussy cut and glued down with Glossy Accents. Easy peasy! And something even we snarkers need to remember!! I have done more subtle reminders for all my lovely crafty friends but this one is short and to the point....we snarks get that!! Now get busy and start creating your snarky project so you can be Queen of Snark...you know you want to be the Queen! I am still making my kids call me Queen Mom! I absolutely love this card, Nanette! Love the subtle touches of gold in the tree, and who knew that frame is a Halloween frame! Awesome! Thanks for the not so subtle reminder to women everywhere to check yourself every month. It's too important not to! 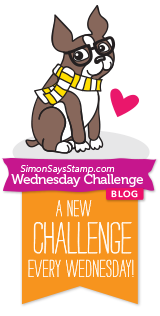 So glad that you are joining the Sisterhood of Snarky Stampers as our Queen of Snark for this challenge! Fab project Nanette!! Thanks for joining the snarky sisters as our guest designer for this challenge!! You rocked it!! This is perfect! I love the combination of delicate design and pointed (and important!) reminder. So glad you're our Queen of Snark this week! Now making the kids call you Queen, that's just freaking brilliant! This is an absolutely gorgeous reminder - what a beautiful snowflake frame, and that paper is sumptuous! So glad you're our queen, Nanette! Fab card with an important reminder. Thanks for being our queen! Sweet card! Thank you for sharing on January 2015 <a href=http://vandicrafts.com/vandicrafts-artistry-challenge-january-2015-anything-goes/>Artistry Challenge.</a> Winner of January's goodie bag will be announced on February 15, 2015.